My outfit was build completely around my new starfish scarf. 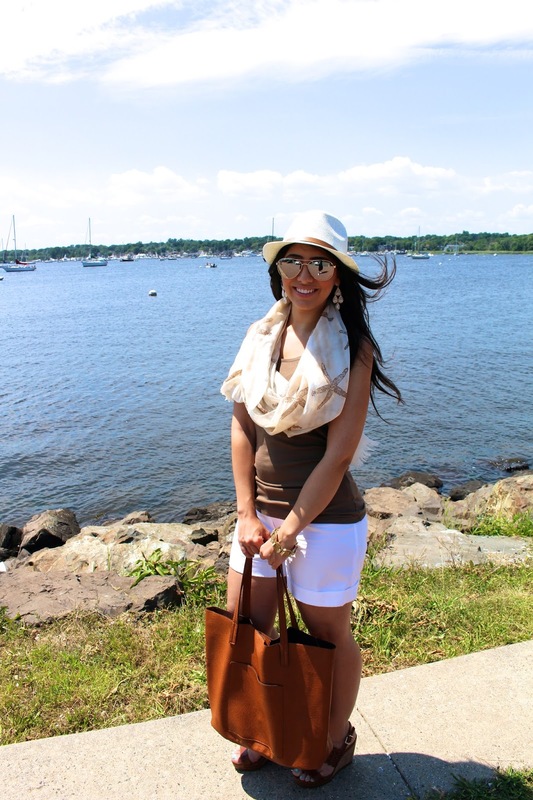 I adore summer neutrals with a mix of tonal browns and cognacs. It's a great way to look fresh and simple while still using staple pieces from your year-round wardrobe. You can even add a coral or mint scarf for a pop of color. This is ideal for our first day out at sea because it's nautical, yet wearable. What was your favorite accessory from today's post? Let me know in the comments below. Thanks for reading!